Where To Buy: many pharmacies and health supplement suppliers such as CVS Pharmacy, Walmart, Target, Pharmaprix, Shoppers Drug Mart. New Nordic also try and woo consumer interest by pointing out their pills contain only natural ingredients that are scientifically proven to “burn fat over a 10 week period”. This alleged fat burning ability is actually true for the main ingredient—Chili—but the other ingredients are popular by reputation only and it should be remembered that a proven ingredient is not the same as a proven product, and Chili Burn Strong is neither tested nor proven. Although the manufactures are of Norse origin, all Canadian marketing is conducted from their offices in Quebec, so any orders placed via their official website should arrive within 10 days. Their full range of products can also be purchased from many leading pharmacies, including Shoppers Drug Mart, Rexall, and Loblaws, but purchases are not protected by a money back guarantee. What is Chili Burn Strong and How Does it Work? New Nordic claim their tablet’s special formulation took seven years to develop, and works to a simple rule: increase calorie expenditure, burn stored fat, and lose weight. This is, of course, the same basic claim made by a dozen or more competing manufacturers, so Chili Burn Strong could hardly be described as being an innovative product. The recommended dose is two tablets a day, preferably taken with a meal. All three ingredients are diet pill regulars that can be found in any number of competing products, but in many cases in more effective quantities and often combined with other ingredients to boost their power. Chili pepper is the only ingredient with a scientifically proven track record, but with an inclusion rate of just 12 mg its presence in the blend is far too low to be of any real benefit. Green tea is included in a more respectable quantity, but green tea’s reputation for assisting weight loss cannot be backed up by scientific evidence. The chromium content is also unlikely to offer any real benefit because, although it has been used in weight loss supplements for over half a century, a study conducted in 2007 showed very disappointing results. The official website offers very little customer feedback, but, as might be expected, the reviews left speak in glowing terms; although one reviewer’s “It really works” barely qualifies as a statement, let alone a review. Independent reviews are always preferable to reviews placed on a manufacturer’s website, but these are also sadly lacking and those available show a mixed response. New Nordic point out their pills are a “natural and safe” product, but quite rightly do not recommend their use during pregnancy or while breastfeeding. They also advise that anyone with liver damage should consult a health care practitioner before using their product and—more worryingly—if symptoms of liver damage should become apparent. A recommendation such as this seems a little strange because none of the ingredients have any significant health issues associated with them, but it may be enough to set the alarm bells ringing for some potential customers. New Nordic is an established company who appear to conduct their business in a reputable manner, and there is no denying their many years of experience in the field of natural health care supplements, but the lack of customer feedback indicates Chili Burn Strong has failed to set the world alight. If this product really was seven years in the making, it seems to have taken New Nordic a long time to have settled on three very common diet supplement ingredients. The most surprising thing of all is that the only scientifically proven ingredient—chili—is included in such a low quantity that its presence is little more than a token gesture. Despite the manufacturer’s strange warning about possible liver-related health issues, it seems unlikely that Chili Burn Strong will present any problems to the majority of users because the formulation does not contain any stimulants or suspect ingredients. 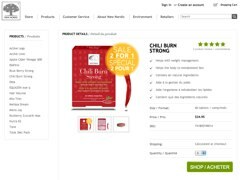 But neither does it contain enough proven ingredients in a sufficient quantity to offer any real weight loss benefits, so Chili Burn Strong is not a recommended product and the consumer is advised to look elsewhere. Can be purchased from many stockists and suppliers in all provinces in Canada. 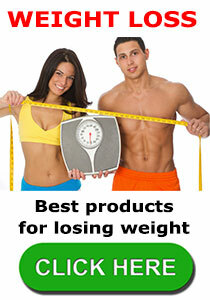 The fat burning genre is highly competitive with many products available to consumers. 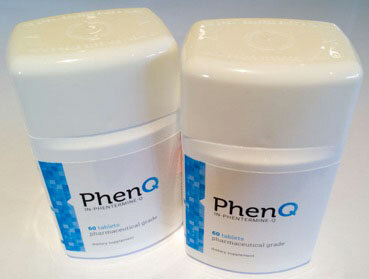 PhenQ is a pharmacy grade fat burner that can also suppress appetite – it is a combination of natural compounds that are put together under FDA licensed facilities. This entry was posted in Fat Burners and tagged Chili Burn Canada, Chili Burn CVS, Chili Burn GNC, Chili Burn Results, New Nordic Canada by admin. Bookmark the permalink. Well I just bought Chili Burn strong today, and used it, I noticed i’m farting alot and i do have a runny nose so that can be from the chili’s..i hope this works as i’m feeling that warmness inside but i think they should have put more chili’s in it. You must have 2 pills a day, after eating and eat healthy and exercise for it to work! its not a weightloss pill, its an AID TO HELP KICK START YOUR METABOLISM! I do notice also that i’m not craving and its my first day…but time will tell what it is all about.